Well, I actually wanted to experiment a little bit with my transcribing technique, so I decided to try something new and adding a “original segment” at the beginning of the transcription instead at the end. I will explain now how the “original segment”, was developed in the past few days, which is over 26 bars long. Pity it’s only four bars long, before the guitar riffs suddenly kicks in and interrupting this small introduction. 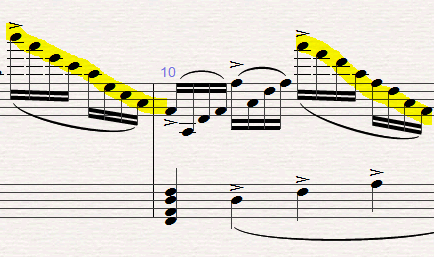 So I decided to expand the first theme by writing a baroque-esque prelude. Of course I am not just adding stuff randomly, instead, I use a lot of musical material which are already provided in the first theme. 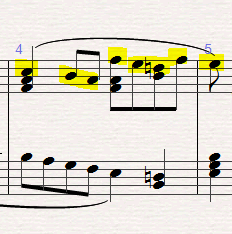 It’s basically a variation of the first theme: notice the same harmoniy in the left hand. 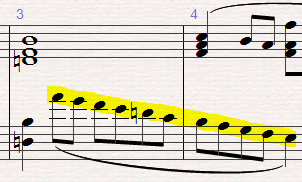 … and made a fugato with this small motif. In order to achieve a monumental feeling, I’ve added a lot of octaves and huge chords in the right hand, which almost covers the entire upper half of the keyboard. Well, that’s all I have to say for now. Maybe there are more hidden motifs I’ve forgot to show you, but I think you readers are already tired of this, so I guess I’ll just stop now. 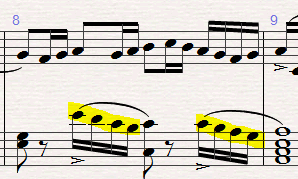 By the way, I’ve been using these “hidden motifs” from time to time in my older transcriptions too. I am starting to see the possibility for me to transcribe. I recognized a certain Beethoven motif in this piece at about 1:04 the scale downward is very similar to a few cadenzas I’ve heard. I played one in particular in the first movement of”Pathetique”. I suppose that my playing ability needs to increase a little bit to where I can play all of your transcriptions not just some. I think that starting simple is my best bet and so I will probably start with a simple piece and transcribe it with my touch. Wow…. that is amazing!!!! Do you have any other videos of you playing animusic arranged for piano? 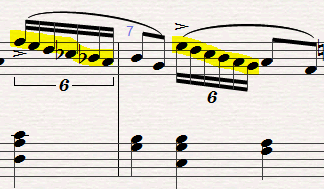 no WONDER that triplet octaves sounded familiar.. YESSS!!!! FINALLY, I’M NOT THE ONLY ONE IN THIS GENERATION THAT LOVES CLASSICAL MUSIC!!!!!! oh, almost forget. Those Liszt are somewhat………. whew. me myself don’t think that it will work. But, mehhh you beat me. If you take a look at Kyle Landry he adds his own rudiments to the piece which really sounds good I’m just putting it out there because I want to know how would you change the piece like Kyle did, and maybe what he’s doing. Hi, im a grade 6 classical guitarist and just recently bought a piano. Im an absolute beginner in piano and i do know how to sight read pretty well. Any suggestion on which song to start first? from your arrangement . In The Game you did this but with classics motifs, I’m right? Just wow… Before reading this i actually thought this beginning part was in the original song (i thought it was just cut out from the tv-sized op). The beginning is my favourite part of the song, you know. My respect for you, Animenz! I’m surprised you’ve put that much thoughts in your work although I was aware that you’re a professional musician (student). I’ve been playing the piano for 13 years (with teacher) and since last year I’ve listened all your transcriptions. Learning your pieces is fun despite it takes a lot of time and frustrates me if it doesn’t sound perfectly on my non-Steinway. 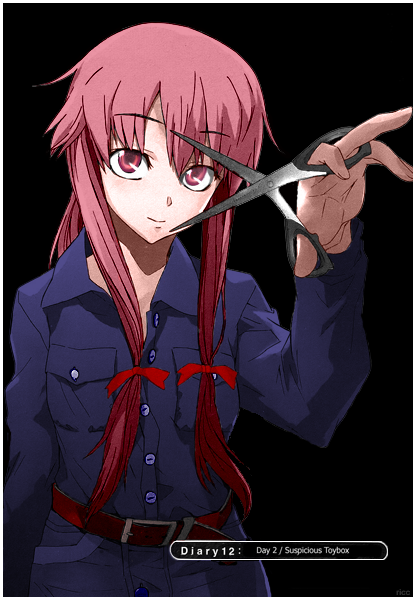 Although my studies in physics take a lot of time, I keep rehearsing a lot. Thx for your hard work and masterpieces.